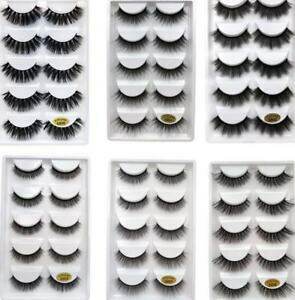 3D 5 Pairs Faux Mink Hair False Eyelashes Long Cross Lashes Handmade SKONHED ! led1928go has no other items for sale. Very good, totally buying more.